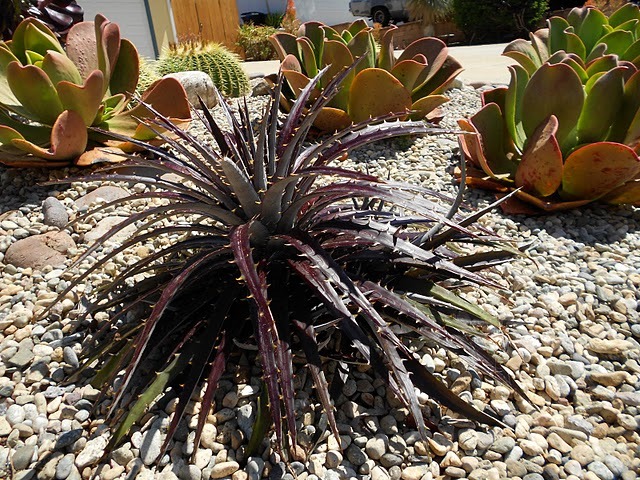 DEETER BUCKNER DESIGN, LLC: NO EXISTING IRRIGATION FOR THIS SUCCULENT GARDEN!! 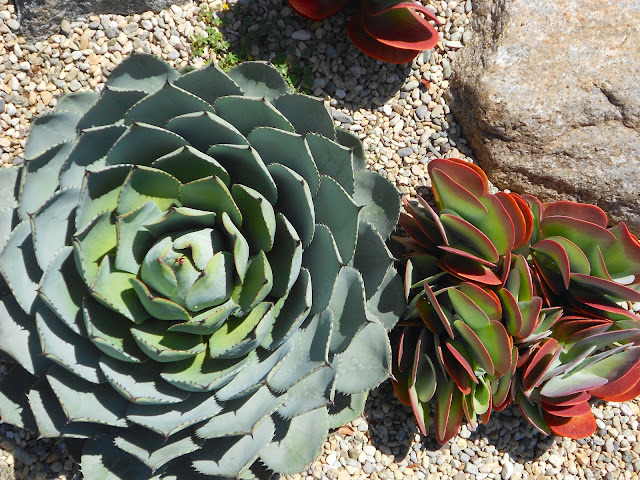 This unique succulent garden is located in the eastern part of the county, in a location that can experience some extreme temps - hot in the summer and light frost in the winter. This garden has NO existing irrigation! 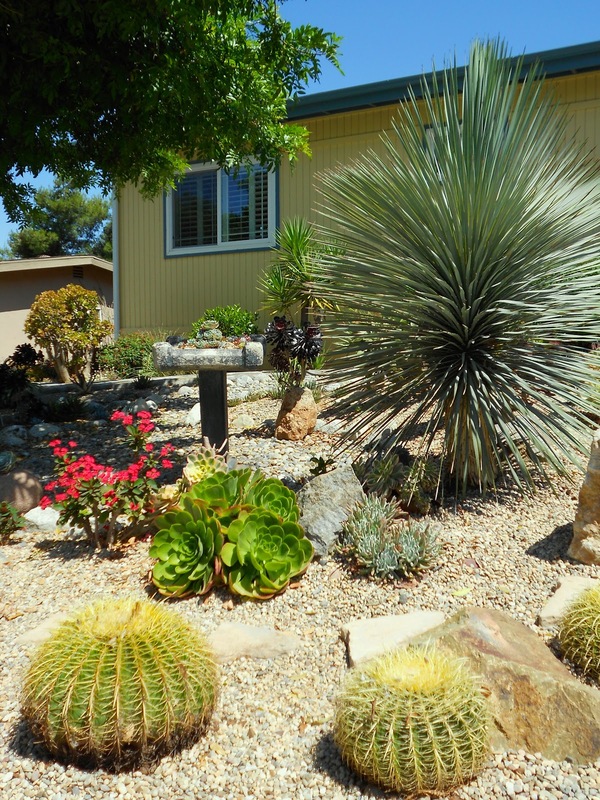 No irrigation required for this uniquely beautiful, sustainable cactus and succulent landscape design in east county. WORK IN PROGRESS. MORE PLANTING TO COME. AN EXTREME WATER-WISE GARDEN - WITH NO EXISTING IRRIGATION!! The plants are becoming established and the full sun is bringing out the reds and oranges in their leaves. 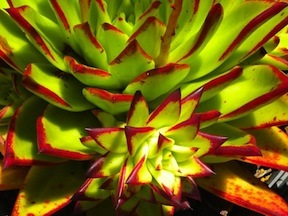 The plants receive little water from the owners, which adds to the colors that you see here...living sculptures! Note: low growing plant material that I describe as 'framing plants' can be added, a choice that would 'fill in' the open space between the plants, and give definition to the overall composition. I believe as more people become familiar with this type of design, they will choose it in place of their turf grass, and save as much as 75% on their water bills. It requires 50- 75% less water, less pruning - tons less maintenance and it's a beautiful, sustainable choice to make. 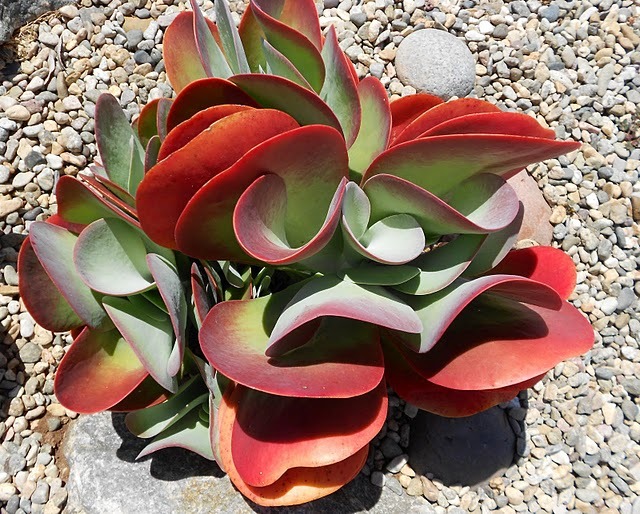 This stunning Kalancho 'Flapjack' speaks for itself! These plants were just waiting for us to 'plant them' together? bold...richly colored, unique, amazing & complimentary. 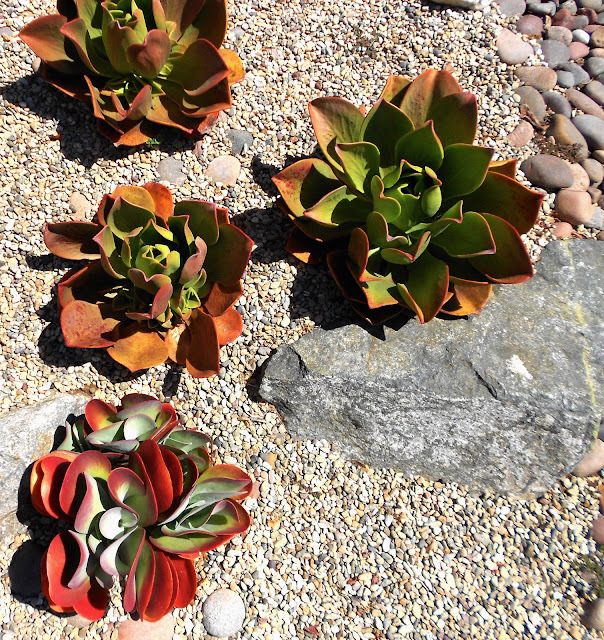 Inspiring, sustainable, original design - the contemporary, water-wise 'thirsty garden'. Your blog is such an inspiration! Thank you! I was wondering if you know the location of this no irrigation landscape. I live in Las Vegas with similar climate, extreme heat, frost in winter. Wondering if something like this would work here. Thanks again!